If you liked this show, you should follow Janice Lindstrom. Kate Taylor has practiced as a board certified music therapist (MT-BC) since 1999 and holds a Master of Arts in Music Therapy. Kate has been trained as a birth assistant or “doula” since 2007. Kate runs an agency called Music Therapy 4 Me and she is the founder of Creative Childbirth Concepts. Through her private practice, Kate offers professional labor support and music therapy for childbirth. Her advanced clinical training includes level I Guided Imagery and Music (GIM), improvisation, hospice music therapy and water birthing. Kate draws upon her knowledge of the birth process and her experience co-treating with creative arts therapists to develop innovative curriculum for expectant parents. Her work includes the use of music therapy in pre-natal and post-partum care as well as music therapy during childbirth. Kate is uniquely qualified to guide couples through childbirth and has implemented music therapy at nearly a dozen hospital and home births. Ms. Taylor has presented her work at music therapy conferences and international conferences on parenting. Kate is interested in connecting with other birth professionals and developing new research in music therapy assisted childbirth. Please reach out to her to share your experiences and ideas. 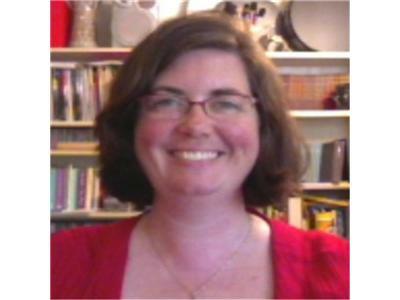 Contact Kate Taylor at mymusictherapist@gmail.com or visit www.musictherapy4me.com for more information about her music therapy and doula services.